Backblast – This was one of the only audio books I knocked out in January, but it was so enjoyable! I had listened to the first two books in the Gray Man series, and was.. underwhelmed. But I skipped through the series to this one and I am hooked! The narrator was fantastic, and I really enjoy the gruff and unreserved way the author writes. 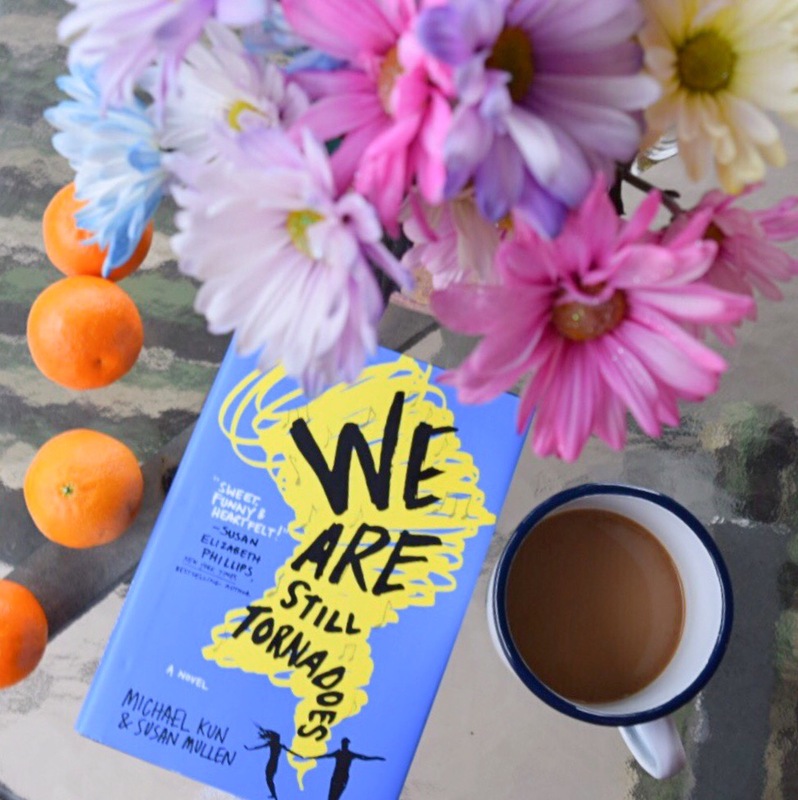 We Are Still Tornadoes – This was the book that was featured in the December Book Boyfriend Box, and I enjoyed it way more than I thought I would! I usually stay away from contemporaries, but I really liked the format of this book, it made it more unique. Some of the eighties references were lost on me, but it didn’t take away the enjoyment of the novel. It ended too suddenly though and really left me wanting more, so 4 stars. Windwitch – I wanted DESPERATELY to like this more than I did. I really loved Truthwitch, but Windwitch fell flat for me. It seems like a filler novel, a book to steer the plot in the direction it needs to go in. I am still going to finish on with the series, but ultimately, this was an average read. 3 stars. 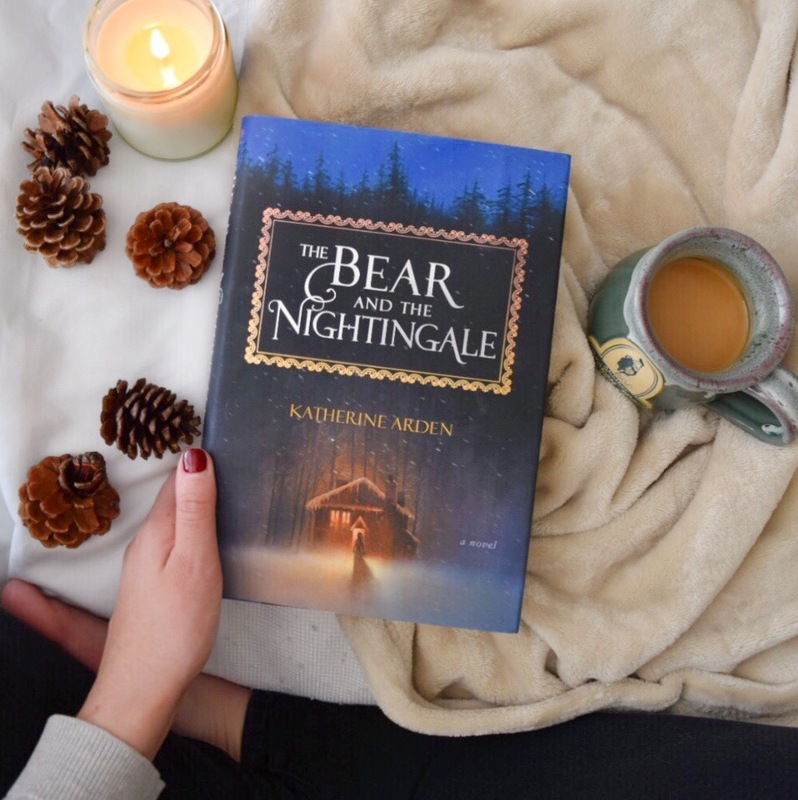 The Bear and The Nightingale – My God, this is actually one of my new favorite reads. It was so magical and entrancing, I was captivated by every page, by every word. I loved the characters and the setting, the folklore and the magic, it was truly a wonderful read. ANDDDD I just discovered that there will be more books! I didn’t think that it ended with a an opening for more books in the series, but I am excited to read more by Katherine Arden anyway because I loved this so much. All the stars. Passenger – I have such conflicting feelings about this book! 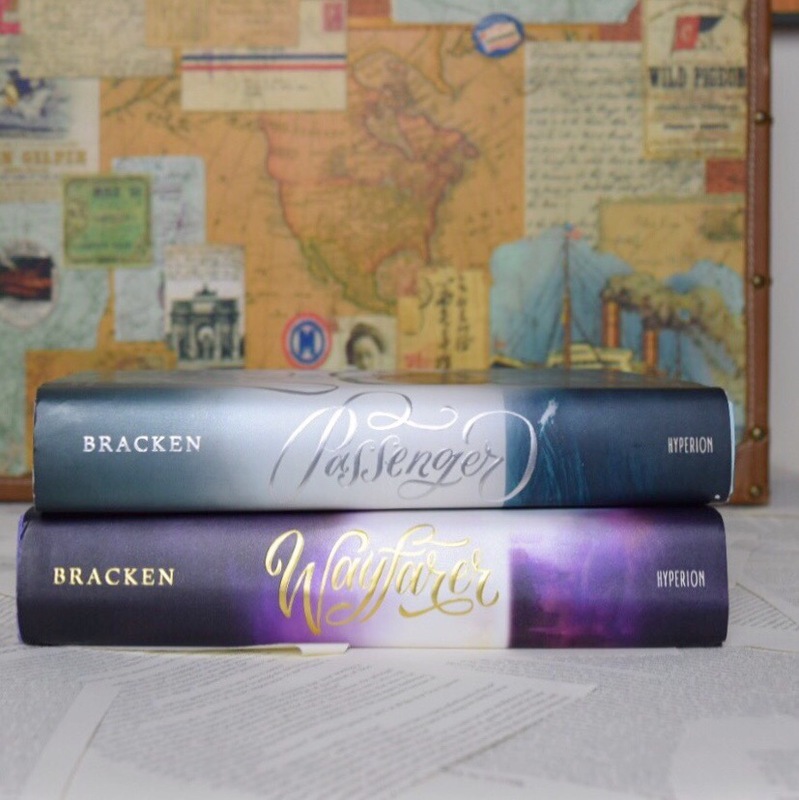 I did read Passenger and the sequel, Wayfarer, back to back, which I think raised my enjoyment level for both overall. I loved the story, the time travel, the romance. This book did drag a little bit, and whenever I put it down, I never felt the need, the pull, to pick it back up again. But, as soon as I started reading and really got into it, I didn’t want to put it down anyways. Hopefully that made sense. If not, still a 4 star read! Since one of my new years resolutions was to not go so crazy buying books, I am actually going to call January a fail on that end. But, it was my birthday month, so that gives me more leeway with reasoning away how I came into possession of so many books last month… it was a birthday miracle! Wayfarer was a birthday present to myself. I picked up this edition from Target because it had a signed special edition page, and an exclusive short story. I already read this book, so I don’t feel bad at all about buying it! Plus, it’s so gorgeous. These books turn me into the literal heart eyed emoji. 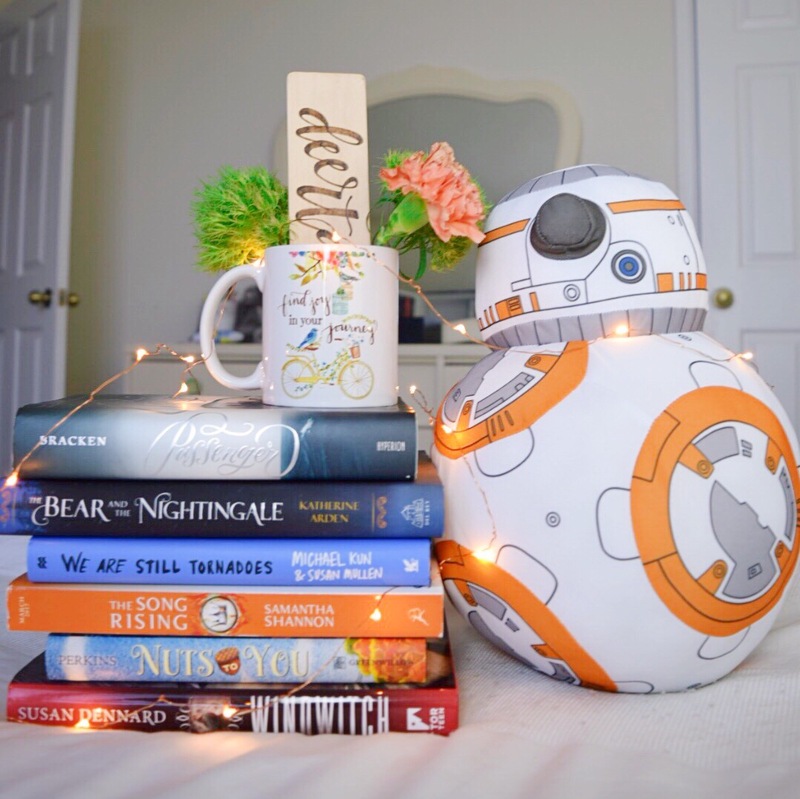 I actually unsubscribed from Owlcrate after December, but when I saw that the book featured in the January box was Roseblood, I got a little sad that I unsubscribed and went out to get the book. The font is RED! How neat is that? I also bought A Darker Shade of Magic for myself, although it was mid January so I can’t really use the excuse that it was a birthday present. But I bought this book for Kori (@livelaughread) for Christmas, and got a teeny bit jealous and wanted my own copy. I’m reading it now, and I like it, but not love it…yet. The Bear and The Nightingale really was a birthday present from my little sister. I already raved about this book above, so just.. go out and get this book. You need it, trust me. Windwitch was a book I had preordered back in November because I really wanted to get that preorder swag that went with it! I actually received it already: a sweet pair of Windwitch socks, a signed book-plate, and a patch. I don’t know what I am going to do with the patch, but hey, at least this is another book that I bought and already read. LASTLY! I think I actually got this book on February 2nd, but since it was the featured book in the January FairyLoot, I figured I would throw it in here. 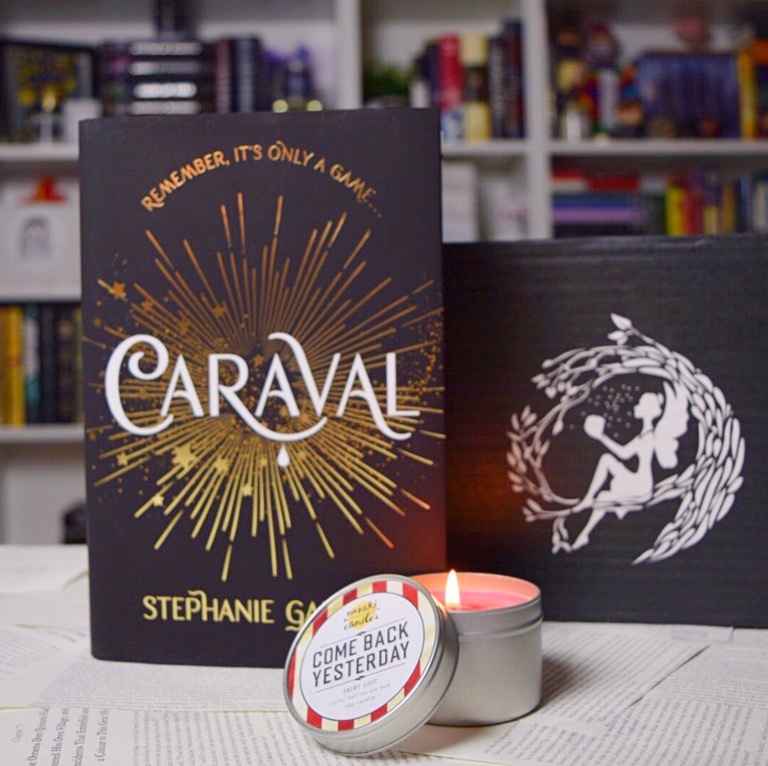 Caraval has received so much hype, and my goodness this book is gorgeous. I am really excited to read this, was so pleased that it was featured in FairyLoot because that whole box was so amazing. Be on the lookout for an unboxing soon! Okay, and that’s a wrap! I plan on being much more conservative in both my reading and hauling for February. Partly that is because I can’t stop playing Mahjong on my iPad, and also because I am paying off a big medical bill so that = fewer books! If only I could catch up on some that I already own, that would be the dream amirite?